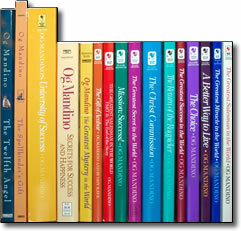 The Og Mandino Collection – All 16 Books in One Collection – Discount! Og Mandino’s books are among the most widely read self-improvement books ever published. Now in this MindPerk collection, you can enjoy all 16 classic books that have given hope and encouragement to millions.